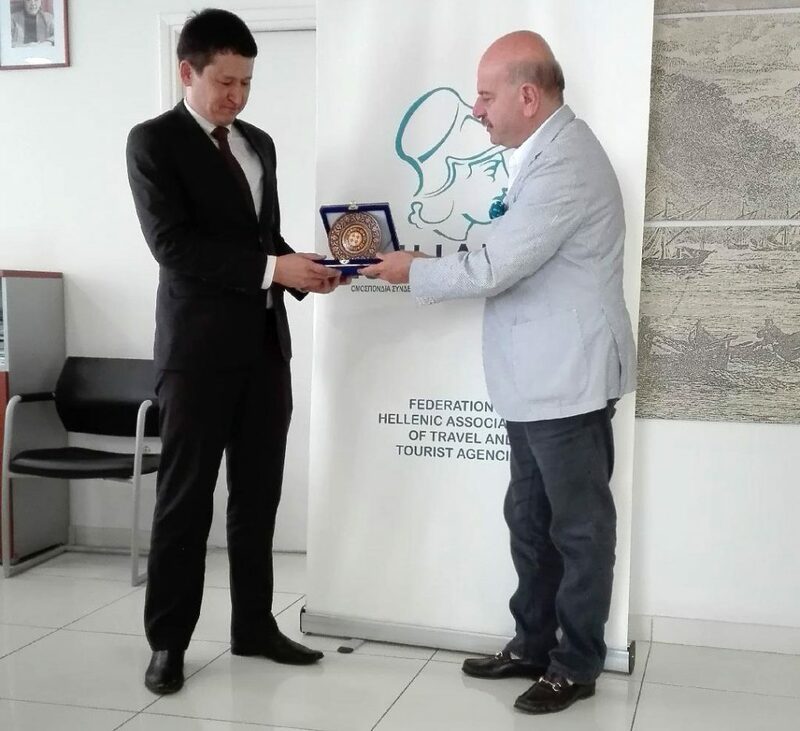 In May 2018, FEDHATTA held a number of meetings with the Minister of Tourism for Uzbekistan, Abdoulaziz Akkulov, and the Consul of Uzbekistan in Athens, Olim Kasimov. Mr. Akkulov also met with Greek Tourism Minister, Elena Kountoura, to discuss closer cooperation between the tourism sectors in the two countries and ways to increase tourism flows. In continuation of these discussions, FEDHATTA took the initiative to host Uzbekistan as a featured destination in the Federation’s stand at the 34th Filoxenia Expo in Thessaloniki, 9-11 November 2018. The event included a presentation of the most important sights and destinations in Uzbekistan by the representative of the Ministry of Tourism in Uzbekistan, Bokhodir Shakirov. The Uzbek Consul, Olim Kasimov, spoke about what tourist from Uzbekistan look for on a trip to Greece. The event was aimed at Greek tourism professionals, as part of FEDHATTA’s continuous efforts to contribute to the development of new products for its member agencies. The event also served to establish a warm and constructive cooperation with key representatives of the Uzbek tourism industry.